TBT is forecasting turnover growth of 21% to £5.2m for the 11 months ended December 2012, compared to £4.3m the previous year ended January 2012. The agency has also forecast a year-on-year increase of 25% in gross profit for the same period, having moved its financial year-end from January to December. 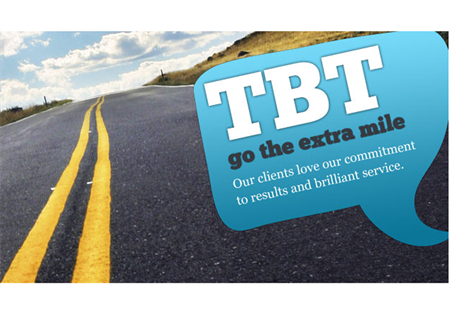 TBT managing director Pete Saunders said: "The majority of business was in the IT sector. It is down to strong relationships, and word of mouth." The agency increased its headcount to a total of 48 staff in 2012, and is currently recruiting for two marketing roles, he added.